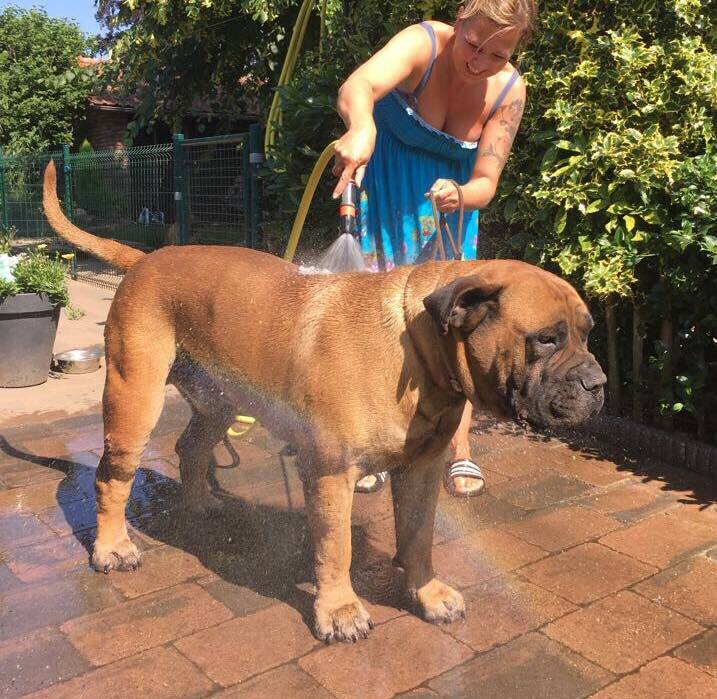 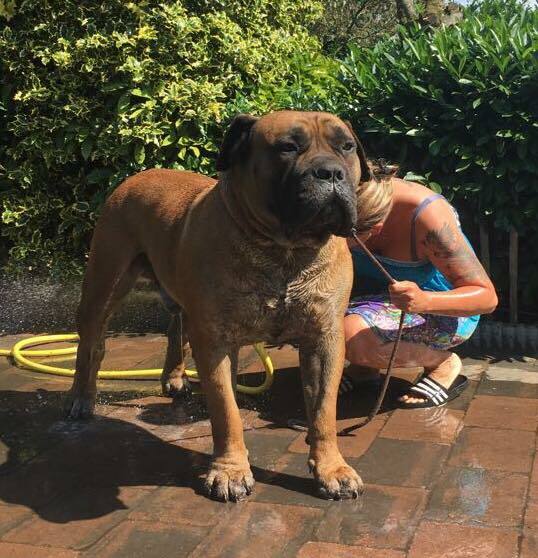 Home › Animals › S African Boerboels › Crazy Wolf has a shower! 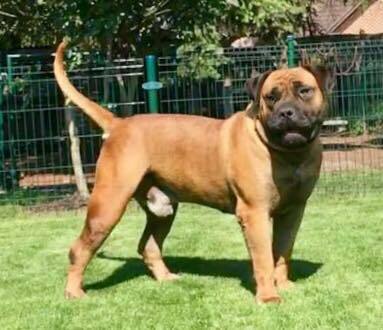 Crazy Wolf of Blygedacht, out of Middelpos Zoro (Welbekend Kojack x Nostras Oxo) x Pancer Tabitha (Piet Zyn Drift Ulli x GrootGeluk Catherina) is owned by Miriam Koopen of Blygedacht Boerboele in The Netherlands. 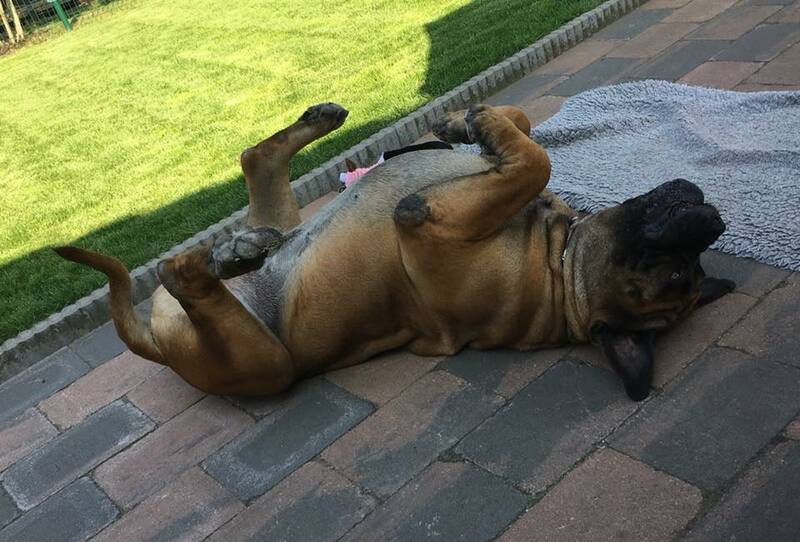 He is the happiest smiliest boy! 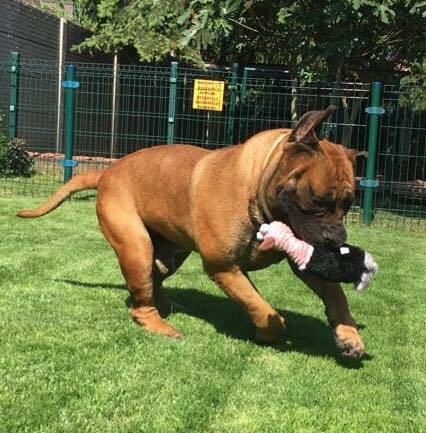 He was born 25th March 2013, weighs 87kg and has A hips, 0/0 elbows.